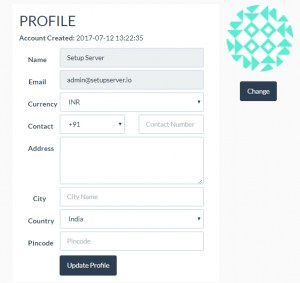 In this tutorial, we will show you how to manage your profile. 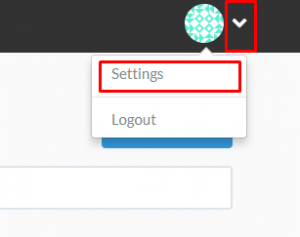 First Login to your SetupServer.io Account and click the drop-down Arrow on Upper Left Corner of the Screen beside your avatar and select Settings tab. If you want to change your Account Name and Email Id, contact our support service. All the other settings like Currency, Mobile Number and Address will be changed from our system as per user’s need. After you do the changes Click on the “Update Profile” button below the form to Update your profile.